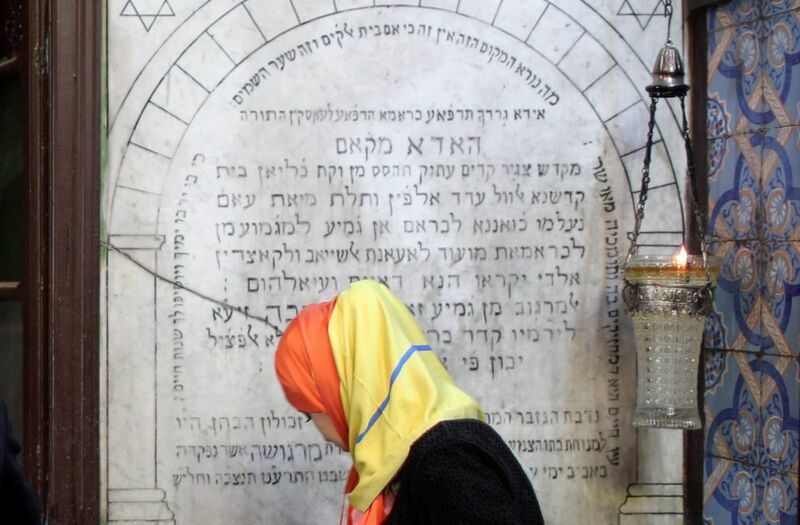 Cyrine Ben Said, a Tunisian Muslim, carried candles and wrote her hopes for the future on an egg in religious ceremony at a synagogue on the southern island of Djerba. She wanted to share the rituals with her Jewish friends because, for her, Tunisia is a country of tolerance, coexistence and freedom of belief. “I’m here to share rituals with my Jewish friends in new Tunisia of tolerance, coexistence and freedom of belief ... Every one has his religion, but we have many common points; the flag, love and peace,” Ben Said. 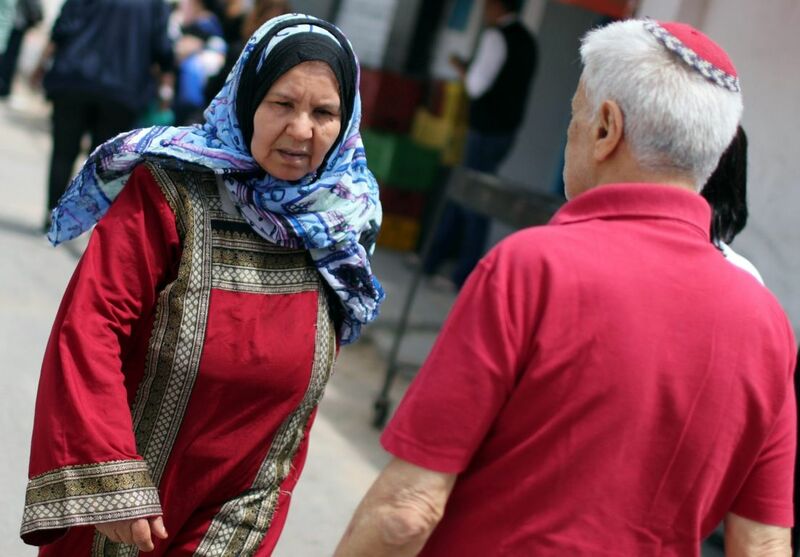 Tunisia is home to one of North Africa’s largest Jewish communities. Jews have lived in Tunisia since Roman times, and the community once numbered 100,000. But fear, poverty and discrimination prompted several waves of emigration after the creation of Israel in 1948. Many left after the 1967 Arab-Israeli war, most going to France or Israel. They now number about 2,000, with more than 1,200 in Djerba. 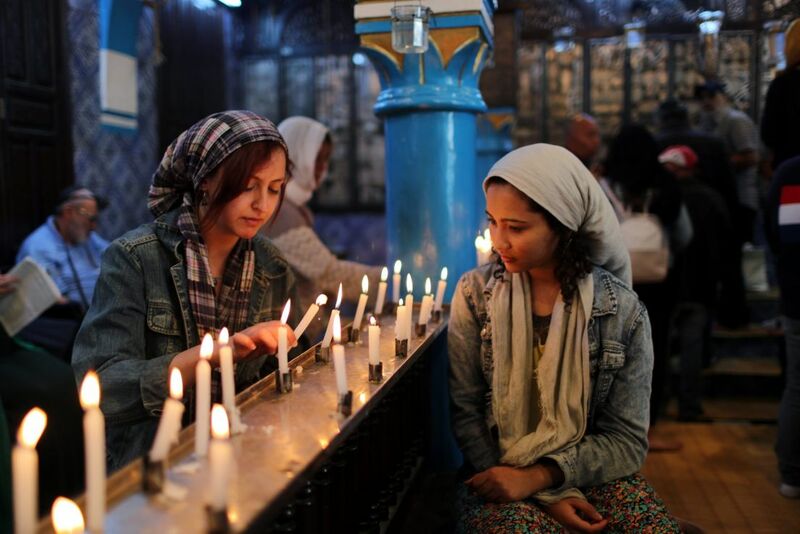 Ben Said is one of dozens of Muslims who participated in the Jewish religious ceremonies in the oldest synagogue in Africa, Ghriba, during an annual celebration held this month. The eggs, covered in people’s ambitions for love and prosperity, are stored in a cellar. The event is a powerful sign of mutual tolerance in Djerba, where the two communities have long coexisted. 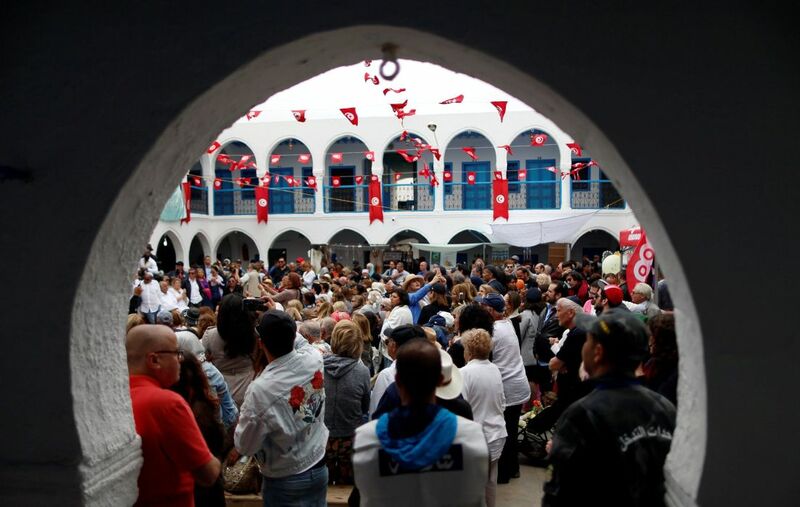 “The Jews and the Muslims of Djerba are all Tunisian citizens, so there is no difference between us,” said Perez Trabelsi, a Jewish community leader. He added that despite their small number Jewish people have a strong presence in economic life, including tourism, restaurants and the jewelry trade. Each year, Muslim religious leaders and politicians from the Mufti to the head of the government take the chance to go to Ghriba to promote the message of interreligious tolerance. 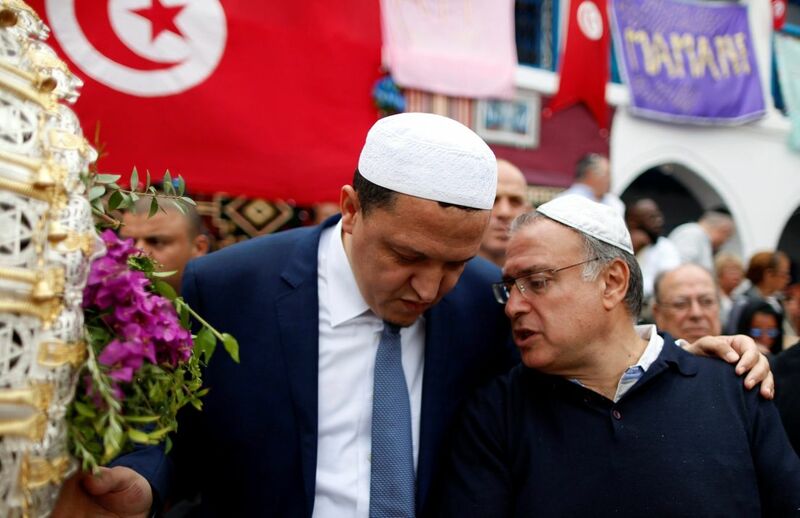 “This is a peaceful island that embraces its Jews and Muslims in harmony, giving a message to the world that we must abandon hatred and hostility,” said Tunisian Imam Hassen Chalghoumi, as he shook hands with one of the rabbis. Ghriba synagogue was hit by an al Qaeda truck bombing in 2002 that killed 21 people, most of them German visitors. 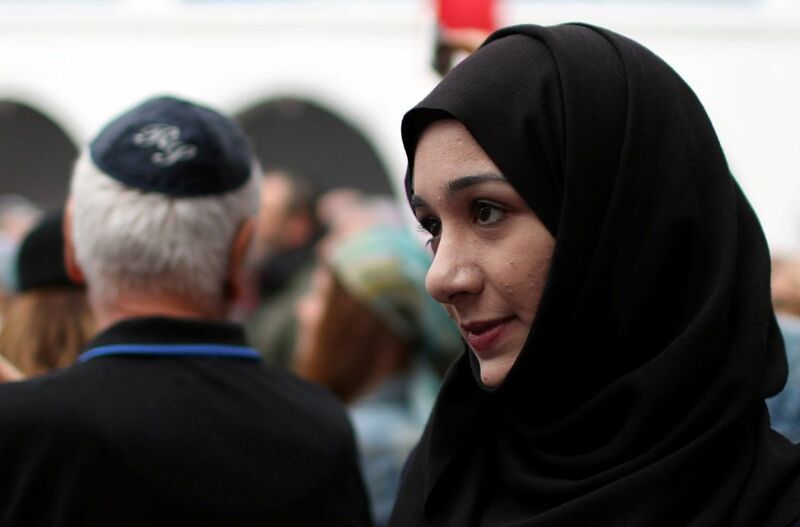 At the entrance to the synagogue, a young Muslim, Makrem Gaagaa, welcomes visitors with a broad smile and presents headscarves to those who need one. “It’s my job and my livelihood,” he said. “My relationship with everyone who visits this place is good, they have their religion and I have my religion,” added the guard, who has worked in the synagogue since seven years. Most Jews in Djerba live in Hara Kbira neighborhood, their homes next to Muslim homes, where they exchange visits and gifts at religious events and weddings. Despite the peaceful atmosphere, security is still tight. This year, during protests against government austerity measures in January, assailants threw petrol bombs at a small synagogue in Djerba, causing shock but no casualties. In Djerba’s old medina, Jewish tailor Mgissis Chabeh has worked for four decades sewing “jebba”, a traditional Muslim dress. “All my customers are Muslims and they love my work,” 70-year-old Chabeh said from behind his sewing machine, in between jokes with a Muslim gold trader friend. The old medina in Djerba is full of jewelry shops, most of which are run by Jews who have controlled the trade in Djerba for decades. Nearby, a popular Jewish restaurant has a sign written in Arabic and Hebrew.